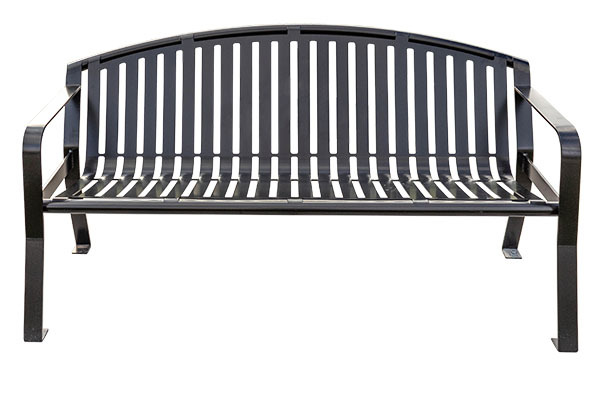 The Classic Arch Bench features a modern, slat design with a curved back. 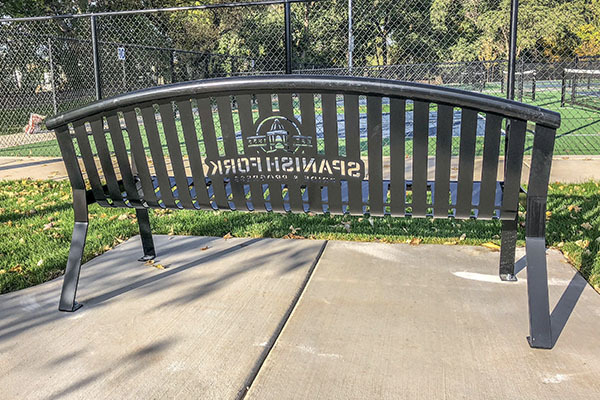 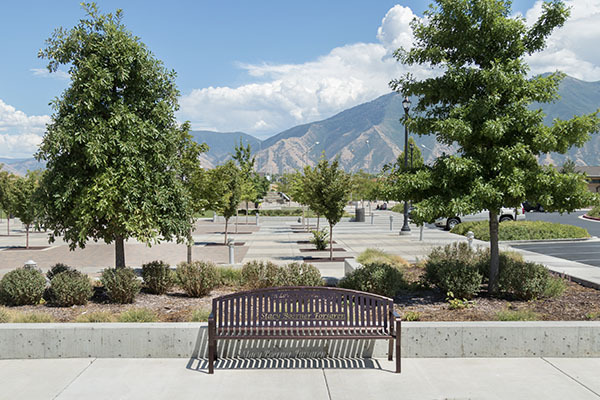 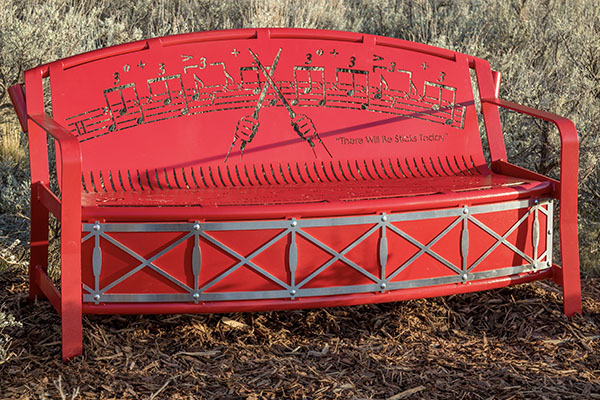 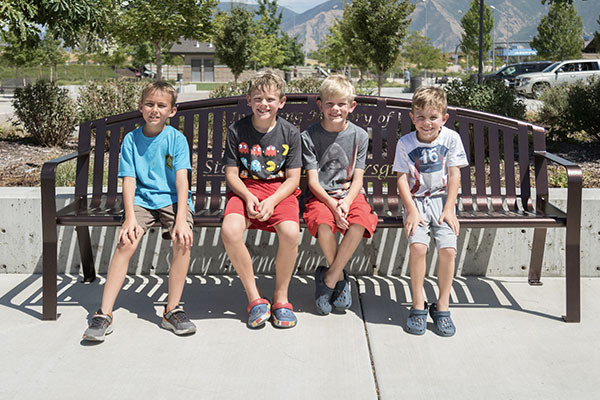 It is the perfect style bench for public parks and other community areas. 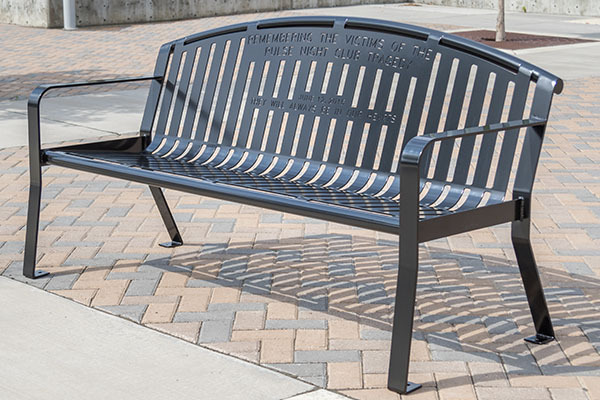 Our manufactures use stainless steel legs to protect the bench from rust and corrosion. 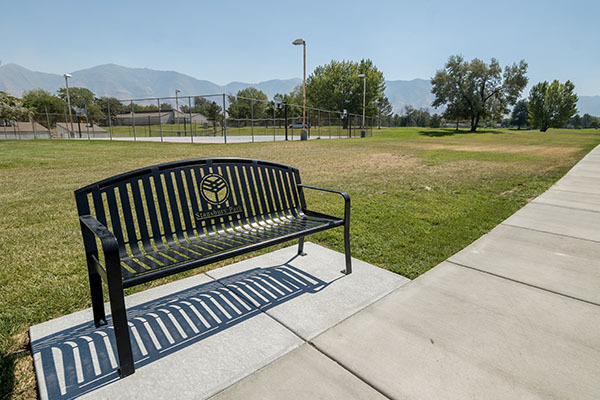 To get started, give us a call at (801) 414-1724 or click the link below! 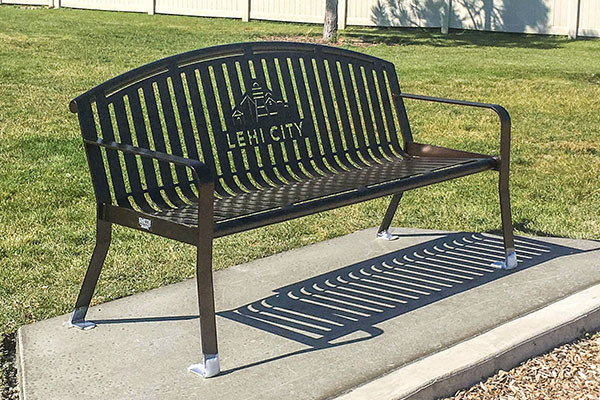 We offer the Classic Arch Bench in three bench sizes: 4′, 6′, and 8′. 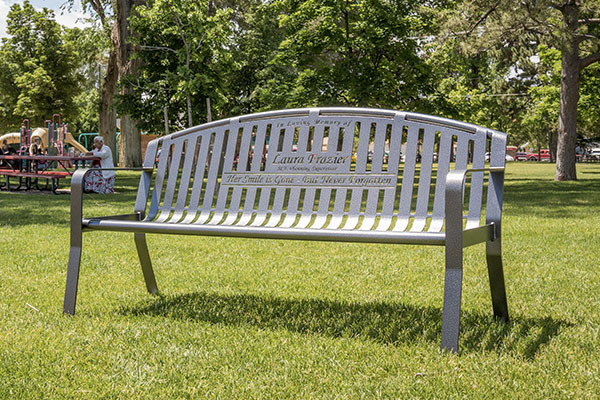 The bench is cut from a single sheet of metal and bent into shape. 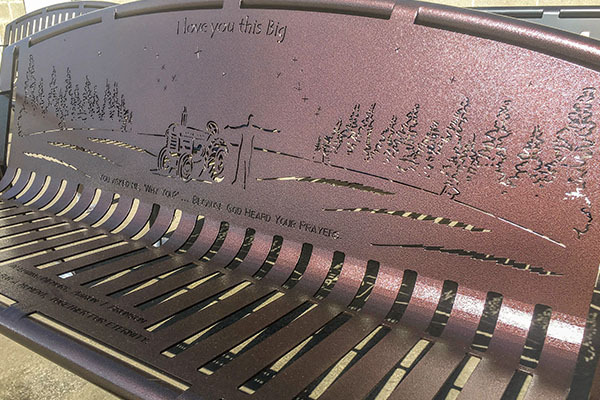 Powder coat is applied to the bench to protect against snow, rain, etc. 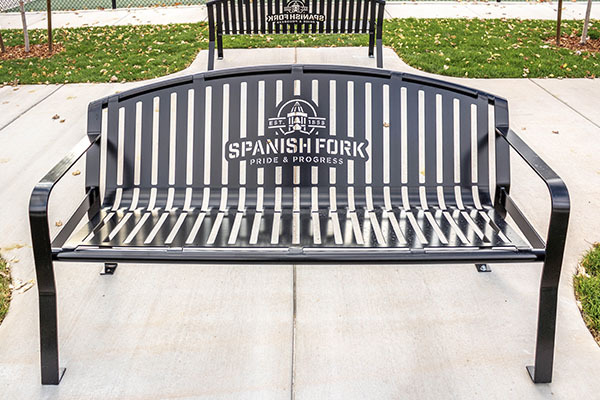 Add business logos or other custom design options. 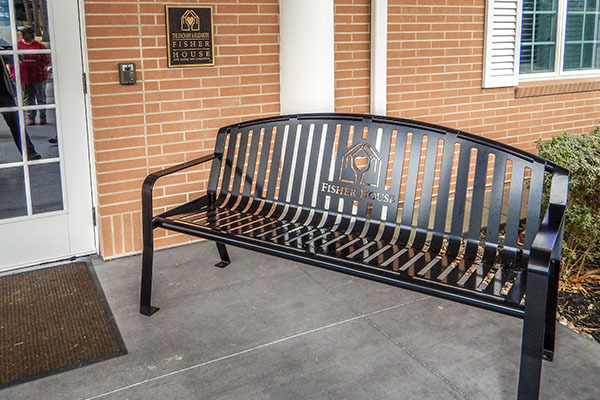 Integrated marketing is an important aspect of the Classic Arched Bench. 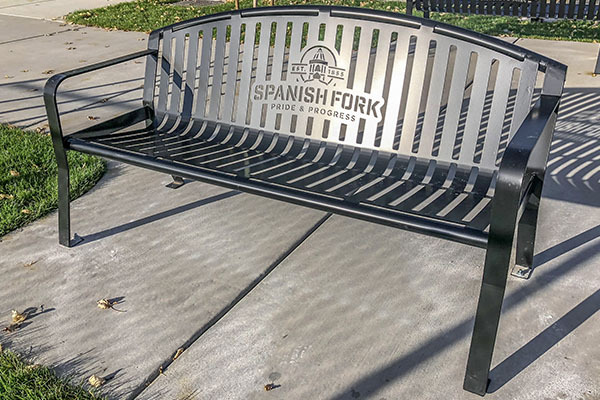 Our design team will take your business logo and turn it into a laser cut ready proof. 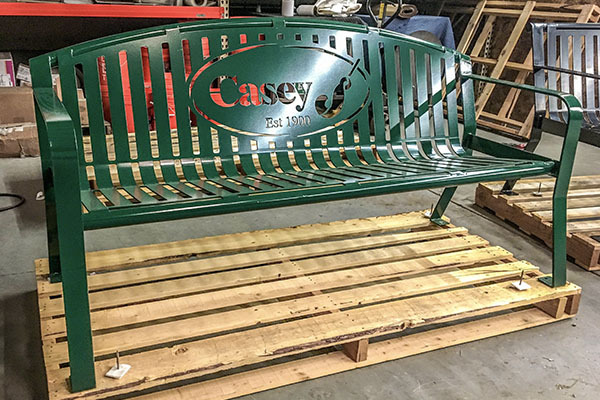 The logo is then cut into the back of the metal bench. 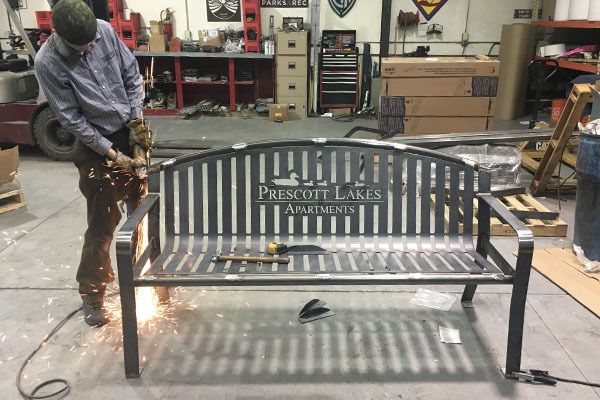 A smooth powder coat is applied to the finished bench. 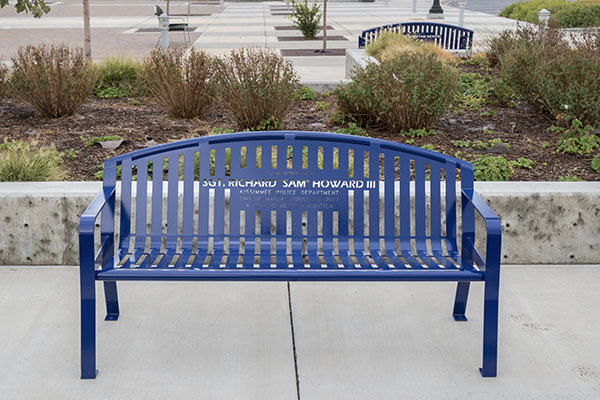 This keeps the metal safe from rust and corrosion, while adding a lustrous veneer. 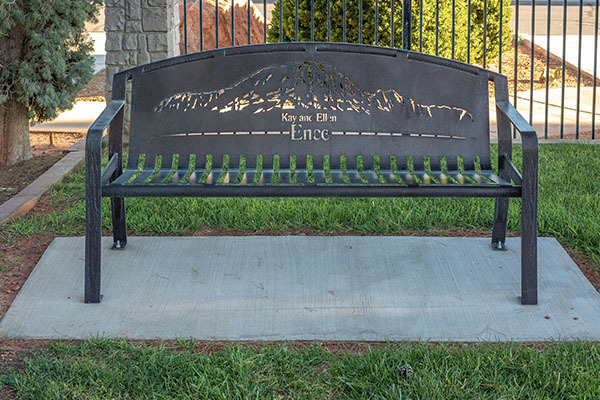 The powder coat is available in an assortment of colors to match any landscape.